Sorry I haven’t been on for awhile. I finally got back here today. I ran across this site on Tumblr and just had to post it. It is so funny! 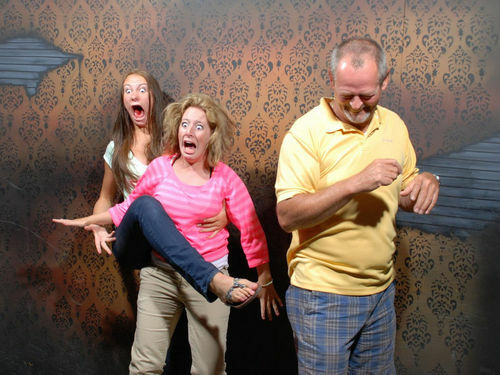 These are surprise pictures taken at a haunted house. I can only guess what kind of ‘thing’ popped out at them. These just got me laughing. Check out the link to see more pictures! I do apologize for the pictures on the last post. I told you I am sort of new at this. The pictures had nothing to do with the title and I didn’t go back to double check the post before I hit publish. Then the next day when I realized what happened I had no clue now how to get the pictures off. So thank you for hanging in there with me!! I will try to get back more often and check out the post before publishing! I have to post more often because there is so many things to share!!! Previous Dire Prophetic Implications for America in the Year 2013 Next “Wendy’s” Chili…do you want onions and cheese with that? !